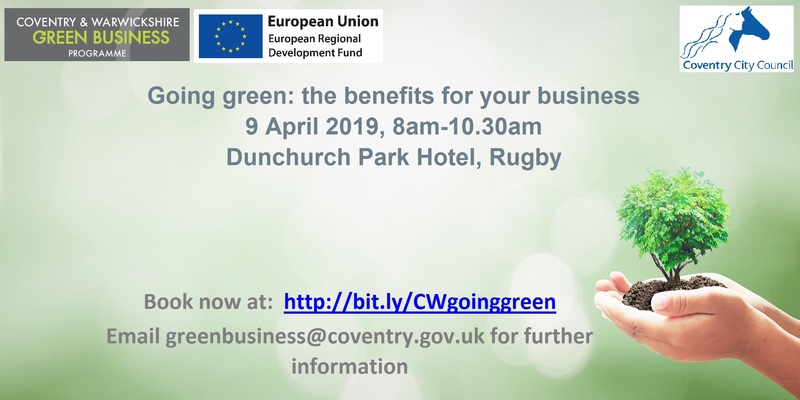 This free breakfast event will identify the benefits for greening your business, detailing how you can offset rising energy costs. Expert speakers will provide practical advice on how to reduce your energy costs by up to 70%, green your products and services, engage your supply chain and employees, improve resource management and promote sustainable credentials to win those tender bids. After the event, further support and guidance will be given by the Green Business Programme, to help your organisation quantify energy and cost savings. Refreshments and a breakfast will be provided. This event is funded by the ERDF Green Business Programme.